Michael Beasley and Delonte West are playing for the Shanghai Sharks of the Chinese Basketball Association this season. It&apos;s the team that Yao Ming owns. 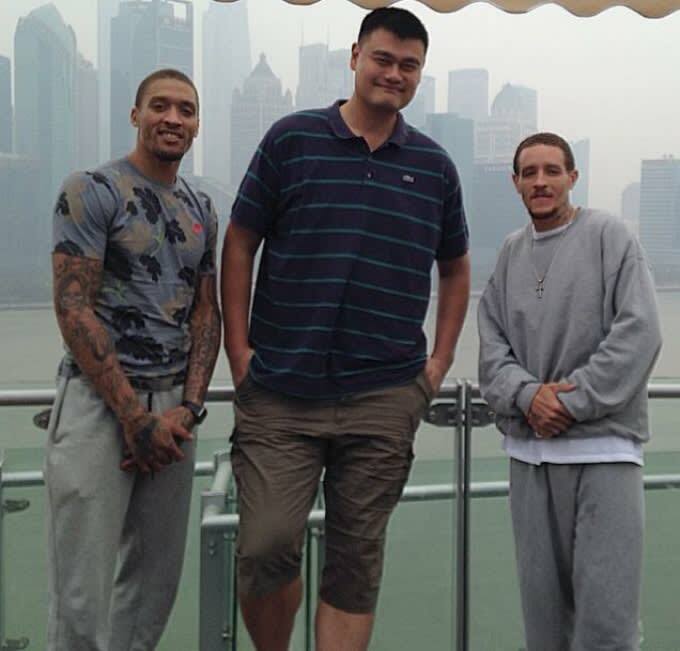 So naturally, it was only a matter of time before Super Cool Beas, Yao, and D-West took a photo together. And what a photo it is! You&apos;ve got the three former NBA players dressed to the nines (just take a look at Yao&apos;s capris and Delonte&apos;s sweatsuit!) and standing in front of a bunch of buildings in China. It&apos;s, well, something. And it&apos;s definitely worthy of a good caption.